Yanke’s grandparents were from Germany and Italy, making him second-generation. He credits this German-Italian heritage for his family’s love of antiques, as he would travel with his parents to auctions and estate sales around the Midwest on the hunt for treasures. In particular, they sought out leaded glass, windows and lamps. On one of these trips, Yanke’s mother acquired a Tiffany leaded antique lamp with a dragonfly design on it, which Yanke recalls found a place in his family’s living room. The lamp left a lasting impression on the young Yanke, who recalls his mother always telling him and his five siblings to stay away from the dragonfly lamp. He now creates his dragonfly artwork in his mother’s honor. 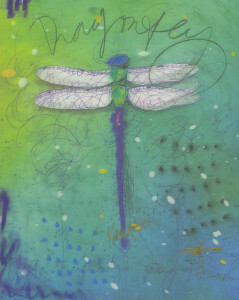 The dragonfly invokes nostalgia in Yanke, and when used in his paintings, causes the viewer to have their own recollections or other special memories associated with dragonflies. He says it also has connections with his Neo-West style, as Native Americans saw the dragonfly as a symbol of water, fertility, renewal and spring. 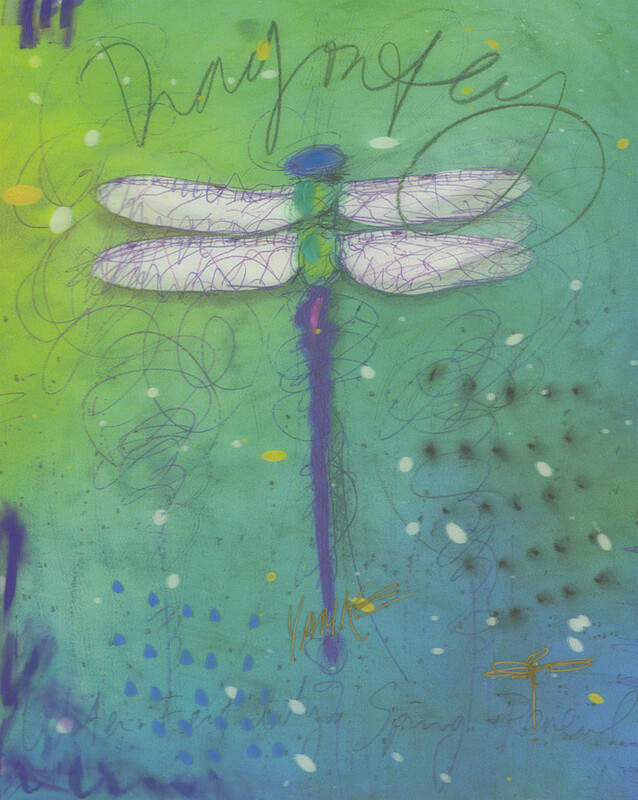 Yanke’s dragonfly has since appeared in many forms, including as a piece of handmade jewelry and in modern lenticular art where the dragonfly flutters its wings. What collectors may not realize, though, is that they are bringing the dragonfly full circle when hanging it in their homes. 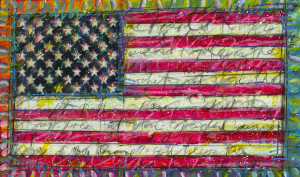 Moving from nostalgia to nationalism, the “Yanke Doodle” series is the artist’s way of expressing the patriotism and diversity of America. 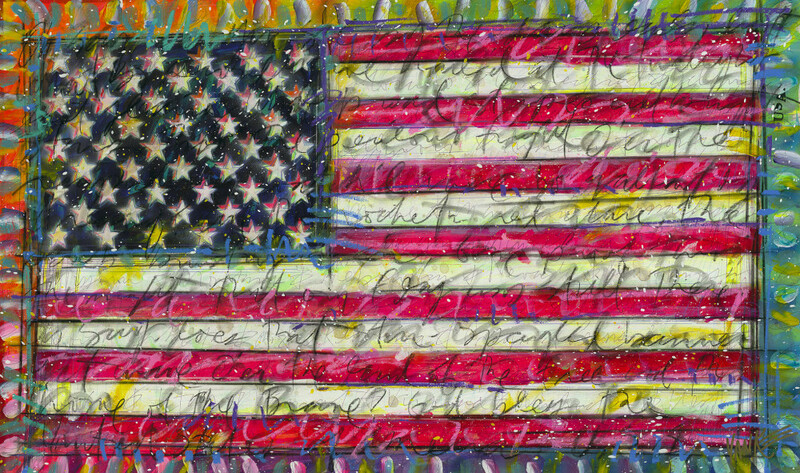 The name is a play on the well-known “Yankee Doodle” song, and about 80 percent of these works of art feature the U.S. flag in colors aside from the traditional red, white and blue. 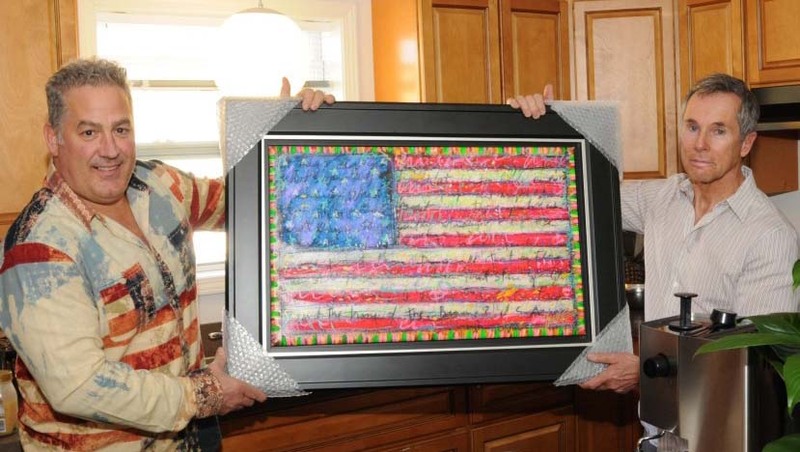 Like the dragonfly, Yanke is honored by having his “Yanke Doodle” works in people’s homes, and he has helped make houses into homes by donating Yanke Doodles to Habitat for Humanity of Oakland County homeowners. 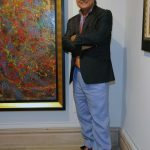 With Park West Gallery artwork on more than 100 cruise ships around the world, Yanke has collectors on six of the seven continents, demonstrating the connection people have with his art. During the opening of his exhibition for “Detroit’s Finest,” he jokingly suggested a Yanke Doodle be delivered to research facilities in Antarctica. “Let’s send them a flag, they could use an American flag out there,” he says. 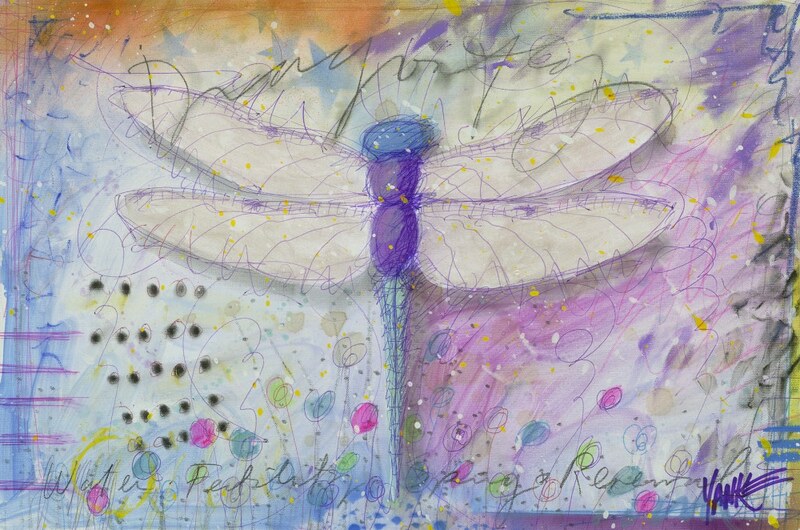 Be sure to check out Yanke’s Dragonfly and Yanke Doodle works at Park West Gallery. We have our Yanke Dragonfly and just love it! I recently picked up Green Spring this past June. It gives me my own nostalgic view when I was a child. I enjoy looking at it for endless periods of time. Thank you for painting it. We bought our second Yanke on RCCL this summer but have not received. Love his work and would like to see more. When is our dragonfly arriving. Hi Jack, Sorry you haven’t received your artwork yet. 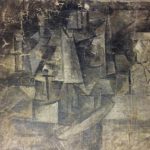 Please send us your contact information and the name your artwork was purchased under. We will contact you with a status update as soon as possible. Thank you! My wife and I just bought “Purple Fertility”. We can’t wait to hang it in our home. Beautiful! Thank you for your vision. We have Blue and Purple Fertility paired on our wall, they look incredible. Along with Yanke Doodle on the other wall.